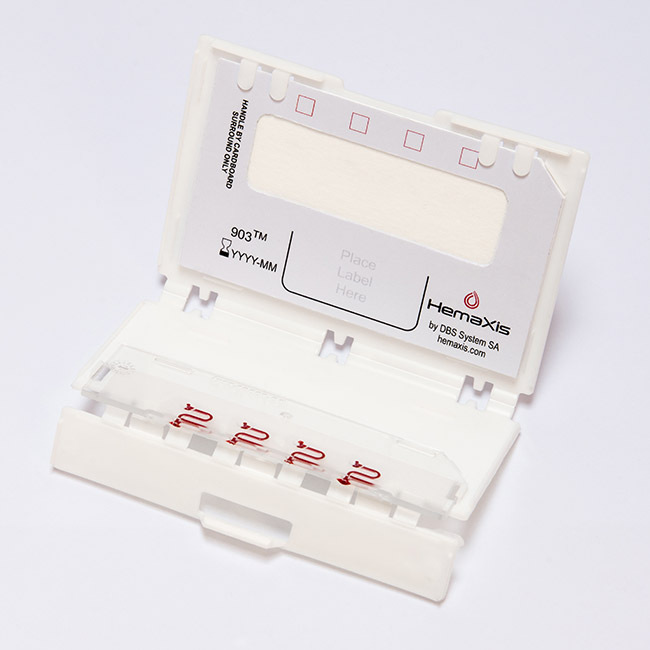 Microfluidic collection device for capillary whole blood. 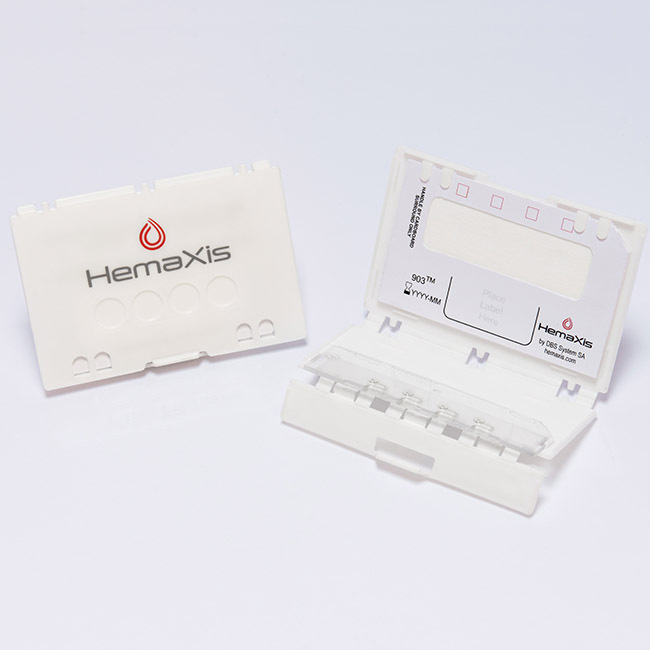 HemaXis™ DB10 is designed to collect capillary whole blood samples of controlled volume (10.0 ±0.5 µL per spot) for analysis in a certified laboratory. The microfluidic chip allows the collection of blood samples from a patient’s drop of blood (finger prick for instance) via the collection channels. 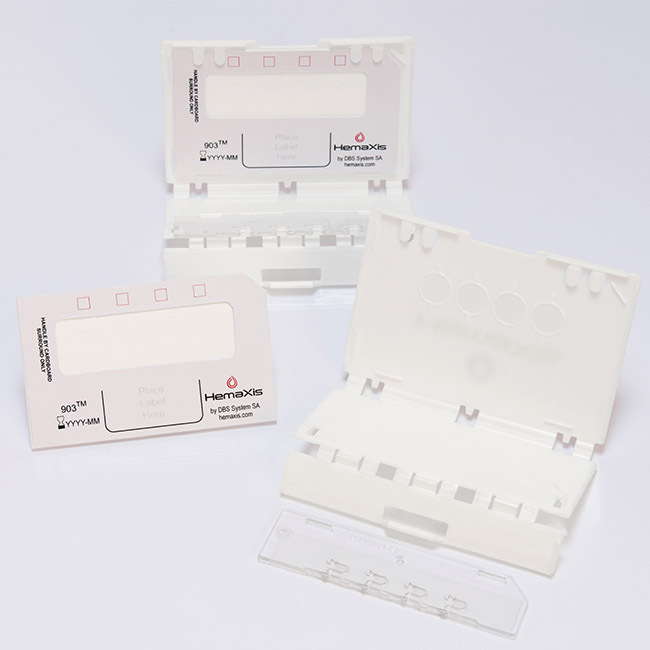 Samples are transferred onto a filter paper card (903 Protein Saver grade) inserted inside the plastic cover. After collection the plastic cover protects the card containing the samples that can be transported to the analytical laboratory for analysis. 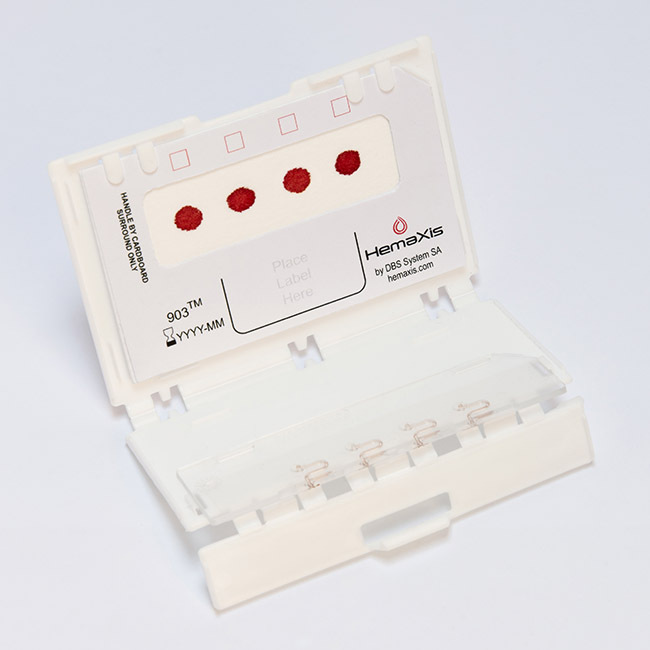 With the precise volume control, no sub punch is necessary, therefore the entire blood spot can be used for extraction.